At least 15 people have been killed in a suicide car bomb attack on a police checkpoint in Iraq's capital Baghdad, officials say. They say more than 40 people were injured when the bomber detonated the vehicle - an oil tanker laden with explosives - at the checkpoint in the south of the capital. 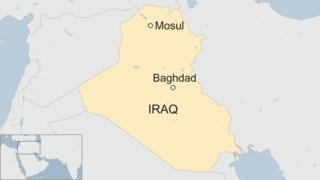 So-called Islamic State has recently carried out similar attacks in Iraq. Wednesday's attack comes as Iraq forces are continuing a major offensive to recapture the city of Mosul - the last IS urban stronghold in the country. Supported by US-led coalition air strikes and military advisers, the Iraqi army has managed to retake large parts of the northern city and its surrounding area.